Drizzle of syrup from a jar of stem ginger – to taste. – Beat the icing sugar and butter together until light and fluffy, then add the syrup. 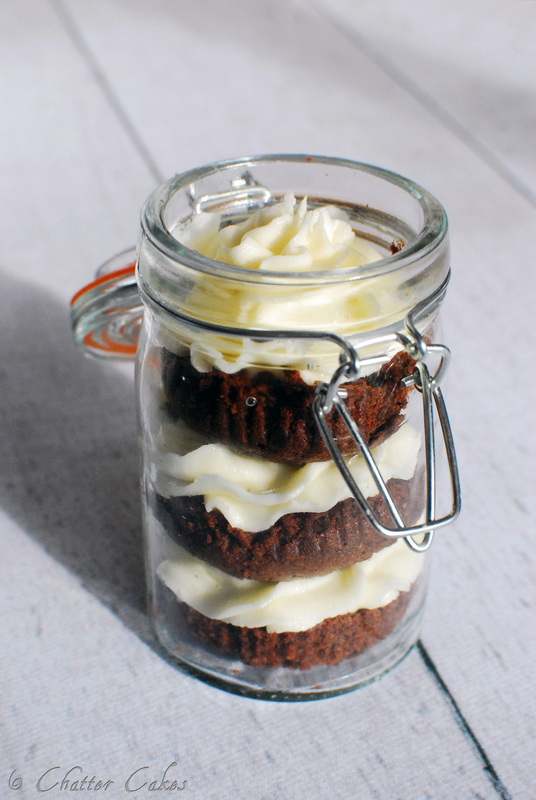 Always use sterilised or new jars for this! – Cut the cupcakes into rounds. – Place the first round into the bottom of the jar. I was tempted to make a raspberry buttercream for this recipe, but I knew Mr CC would love the ginger buttercream. It would work well either way though!